The Brumby Chair Company | Otis A. Brumby, Jr.
Otis A. Brumby Jr. is a fourth-generation Cobb Countian and the fifth president of the Brumby Chair Company. He is a grandson of Thomas M. Brumby, co-founder of the Brumby Chair Company in 1875, and the son of the late Otis A Brumby, publisher of the Cobb County Times and Elisabeth D. Brumby of Marietta. He is President and Publisher of the Marietta Daily Journal and Neighbor Newspapers, Inc. He served as president of the Brumby Chair Company since 1967 when Brumby Chair licensed Frank and Carole Melson to resume production of the Brumby Jumbo Rocker that had not been produced since World War II. When Frank Melson's widow retired from the manufacture of the Brumby® Rocker in 1991, Otis A. Brumby, Jr. not wanting production of the rocker halted again received permission from the five other Brumby family members who own the trademark to manufacture and market the Brumby Rocker starting in 1992. Although the solid Appalachian Red Oak pieces are now turned in Tennessee, all assembly, hand caning, and finishing is done in Marietta at The Brumby Chair Company showroom and workshop on the historic Marietta Square. Otis A Brumby, Jr. was born in Atlanta on April 9, 1940, and lived on a farm along Rottenwood Creek on Terrell Mill Road in East Cobb County until 1945 when his father suffered a heart attack and retired to Pass-a-Grille Beach, Florida. After his father died in 1953, he worked four years as a page in the United States Senate under the sponsorship of his cousin, the late Senator Richard B. Russell of Georgia. He graduated from the Capitol Page School in the Library of Congress in Washington D.C. in 1958; the University of the South, Sewanee, Tennessee in 1962, and the University of Georgia School of Law, Athens, Georgia, in 1965. At the Capitol Page School, he was president of the student council and editor of the yearbook. At Sewanee, he was a member of the Order of the Gownsmen and majored in political science and economics. He was also a member of the Kappa Alpha fraternity and the Highlanders Club. He was a member of the Cobb County and Georgia Bar Association. He is a past president of the Georgia Press Association and the Atlanta chapter of Sigma Delta Chi, a professional journalism society, and is active in civic, business, and professional associations. 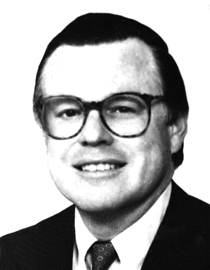 He served on the board of the Georgia Department of Transportation from 1985 to 1990 and is a trustee of the University of Georgia Foundation and Kennesaw College Foundation. He is a director of the First Union National Bank of Georgia and the Atlanta Gas Light Company. He and his wife, the former Martha Lee Pratt of Atlanta, Georgia, have five children: Spain, Lee, Betsy, Anna, and Otis III. They attend the First United Methodist Church of Marietta. When Otis Brumby, Jr. reopened the Brumby Chair Company on the historic Marietta Square in the spring of 1992, the new business is only a quarter mile from the Kennesaw Avenue factory which housed the Brumby Chair Company shortly after it was founded in 1875. The new showroom and workshop at 37 West Park Square showcases the various handmade qualities of the classic chair's production, such as hand-assembling, hand-caning and hand-finishing. The shop also exhibits much of the rich history of the Brumby® Jumbo Rocker as well as current inventory for purchase. "The Brumby Chair Company and the Brumby Rocker have been part of Marietta's history since 1875, and I hope to help ensure the continuation of this heritage." said Otis Brumby, Jr.
"Marietta and Cobb County have been home to my family and ancestors for 140 years," Brumby said. "It is one of my fondest hopes to see the Brumby Jumbo Rocker - perhaps the oldest product still in production in Georgia - to continue for the comfort and enjoyment of generations to come."